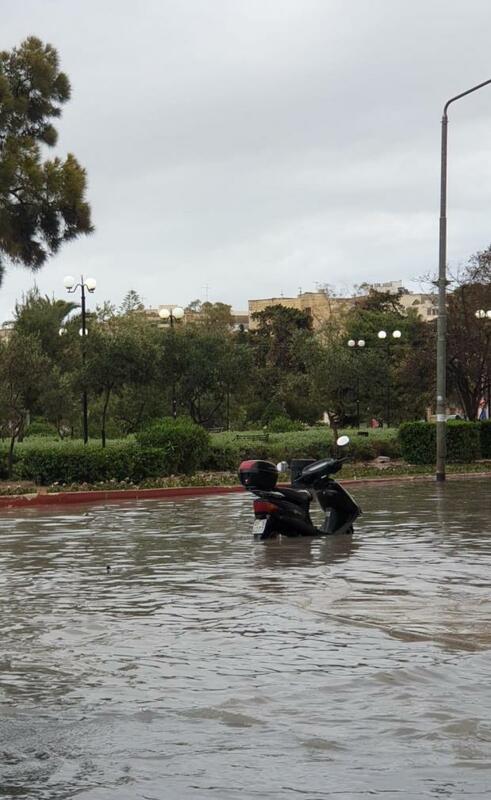 Heavy rains brought traffic to a standstill in various areas of Malta as roads were flooded, including a car park in Mrieħel close to the Forestals showroom, which lies below the level of the adjacent bypass. Commuters were trapped in heavy traffic, with up to a third of a metre of water in many places, just minutes after the sudden downpour around 4pm. 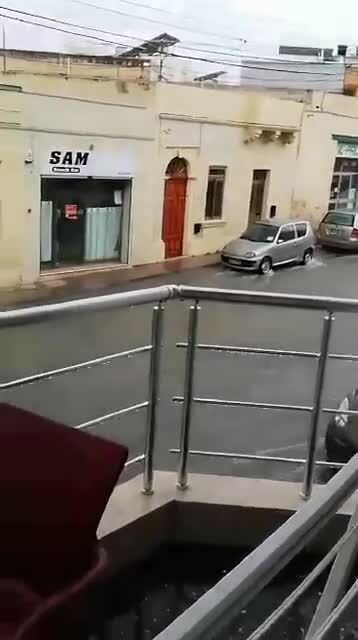 "Water is pouring down all the side streets to the Strand in Gżira but it gets trapped on one side of the street and cannot drain into the sea," one driver said. 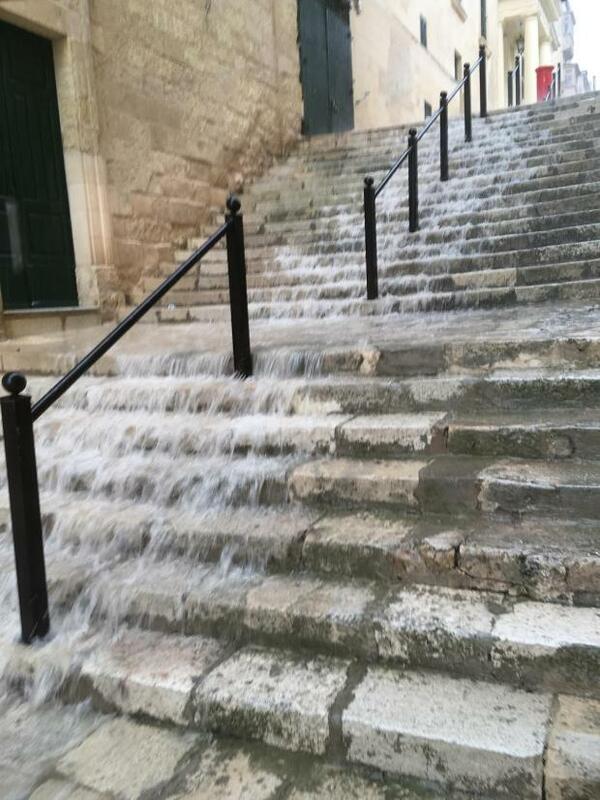 A Kalkara resident said water was gushing out of a manhole, adding to the water already on the roads. Water is gushing out of this manhole cover in Kalkara. 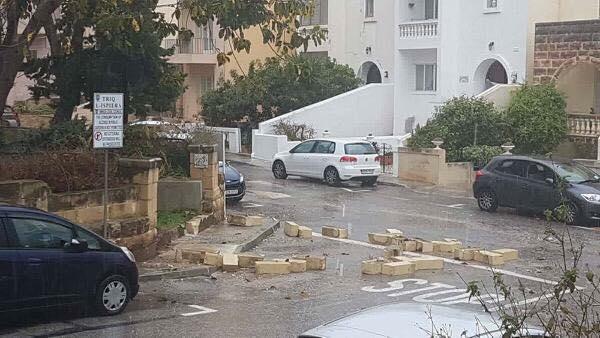 The Swieqi mayor also reported that some stone slabs were dislodged in the corner Triq il Ħemel/Spiera in his locality and that they were waiting for the Civil Protection Department to remove the danger. 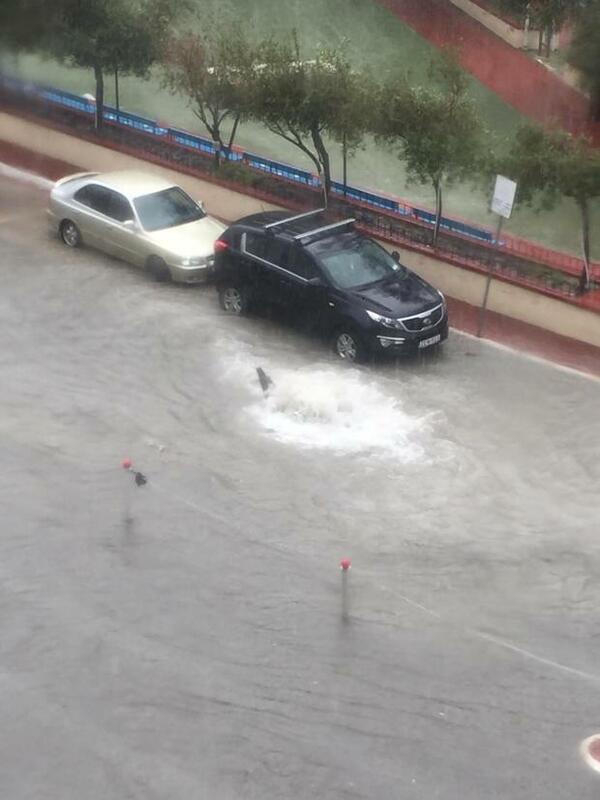 Another driver said that the bottom end of Telgħa t'Alla u Ommu was also flooded with several vehicles stalled there. 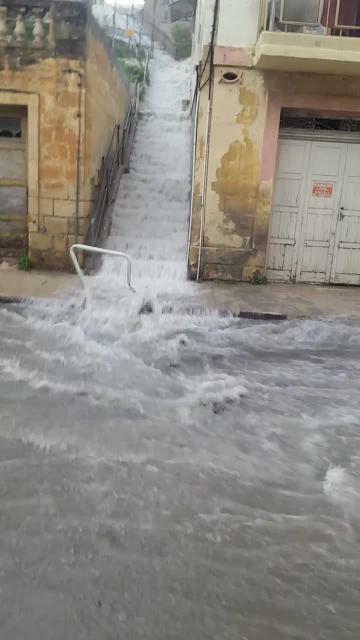 Water pouring down steep stairs in Marsascala added to the already flooded roads, as can be seen in this FB video posted by Joanna Gatt. Video by Joanna Gatt shows the problems in Marsascala. Nusa Aquilina's video shows how quickly residential streets can become inaccessible. 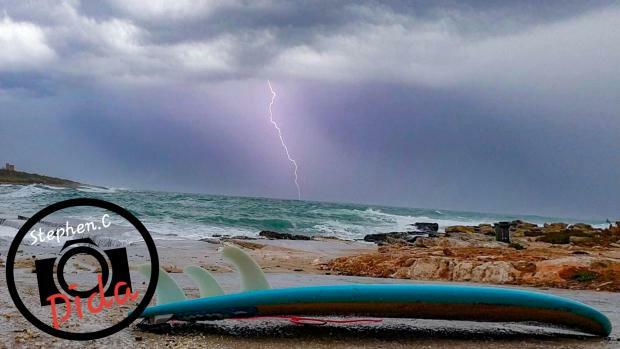 The Meteorological Office had been warning for the past few days of strong winds and heavy rains, with thunderstorms also forecast for Friday.